Spektikor - Rapid patient monitoring during triage - Businessangels.fi - muutakin kuin rahaa. 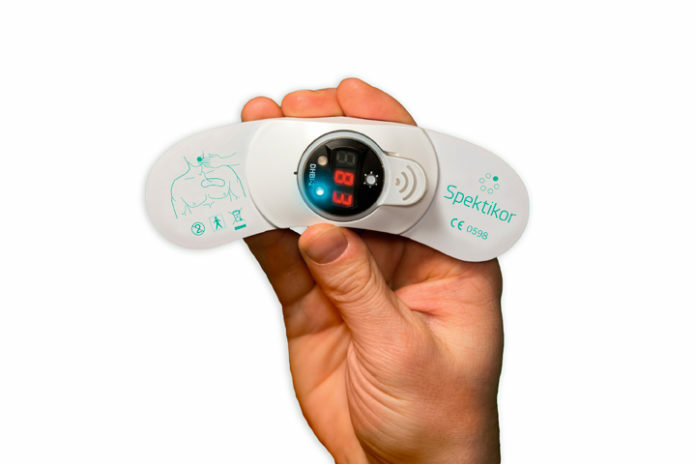 Spektikor® RAPIDA Indicator is an effective and disposable solution for detecting changes in a patient’s heart rate. It produces critical information about life-threating indications and, thus, enhances the patient’s survival. Spektikor® RAPIDA Indicator was designed for performance in mass casualty situations and hazardous environments, and it provides a real-time situational awareness in 20 seconds. The quick response time enables more time for medical treatments and enhances survival possibilities. Controlling multiple patients simultaneously is possible when first responders can quickly concentrate on the most demanding patients.